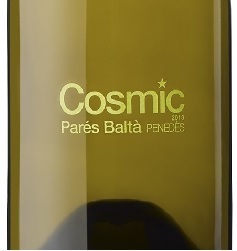 The DO Penedès winery, Parés Baltà has been making a solid name for themselves in the last few years by producing fully organic wines and cavas. This wine represents one of their more recent releases which they chose the name, Còsmic. This is probably a bit puzzling as there is the Celler Còsmic up in Empordà but such is how it apparently goes in a small region like Catalonia. The nose presents grapefruit, honeydew, and downplayed tropical aspects. Lemon pith in the mouth with medium acidity. Fresh finish with bitter melon notes that linger. Glad to see yet another Xarel·lo in your glass, a toast to the smallness of our region, that shouldn’t give you the impression that we aim for less than stellar outcomes, nature and the vines allowing. Salut!